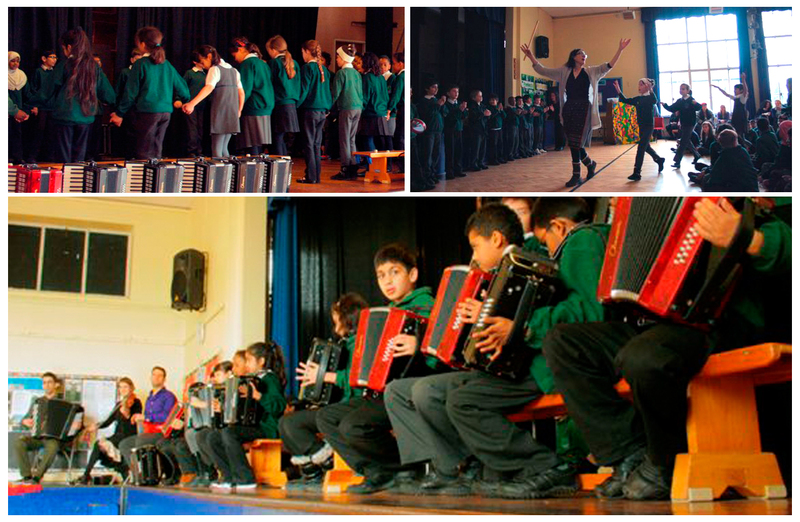 The Jewish Music Institute is experienced in commissioning and developing interactive workshops that inspire, educate and entertain children and their parents. 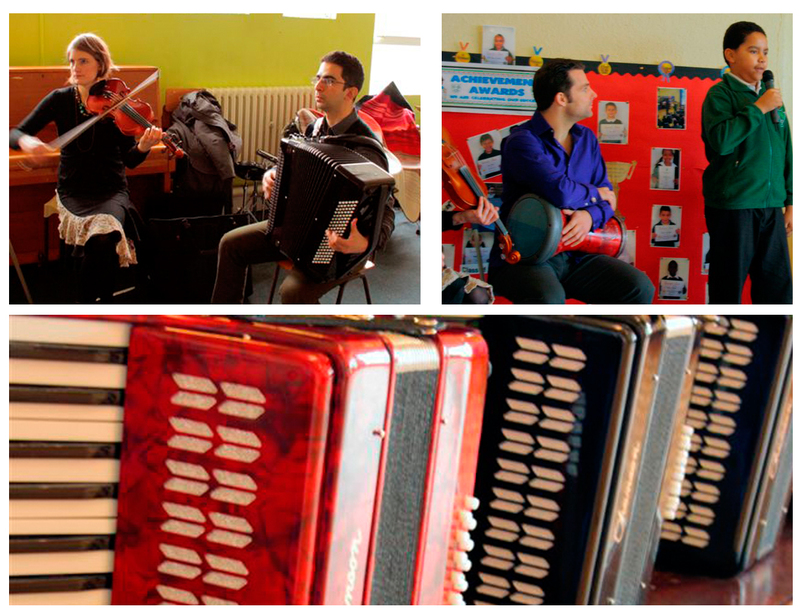 An educational journey in Romanian and Yiddish storytelling, music and dance. 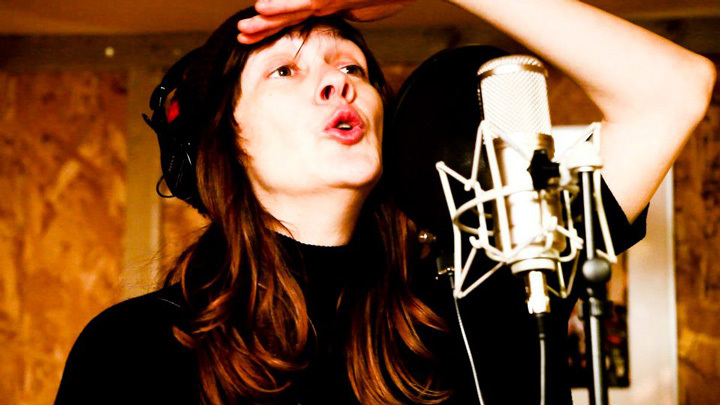 This wonderful project – created in collaboration with Sue McCall (Harrow Music Service) – brings together some of the UK’s best educators in Eastern European music to inspire students with a rich programme of folk tales and song. 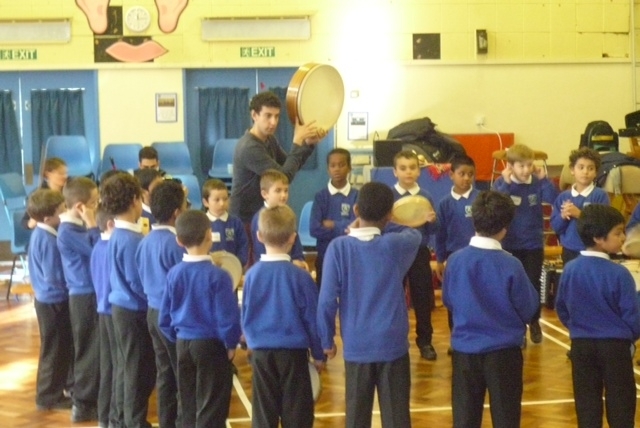 Primary School children explore the colour and energy of the four seasons through interactive sessions that include instrumental workshops, puppetry and dance. 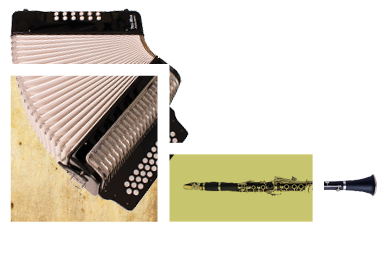 The programme gives each child the opportunity to learn the accordion, one of the central instruments in both Romanian and Yiddish folk music. Children also learn special songs and dances that represent the different seasons. 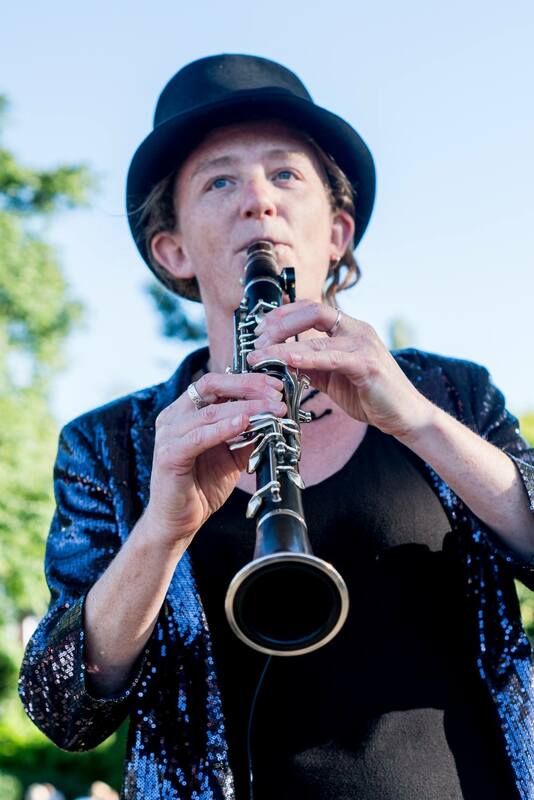 Classes are led by renowned klezmer clarinettist Susi Evans and Romanian singer, puppeteer and multi-instrumentalist Monooka, and are supported by a group of expert klezmer musicians including Simon Roth (percussion), Zivorad Nikolic (accordion) and Paul Moylan (double bass). The schools that have run ‘Anotimpurile: The Four Seasons’ to date are; Aylward Primary, Weald Junior School, St Georges Roman Catholic Primary, Marlborough Primary, Belmont Primary and Kenmore Park Junior. Cedars Manor Primary are the next school to welcome the project in Summer 2018. 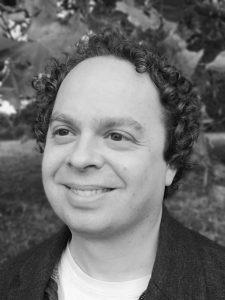 Jewish Music Institute has partnered with Essex Cultural Diversity Project and Essex Music Hub to offer workshops at various schools on Canvey Island ending with a community evening concert to celebrate Hanukkah. This project is called Canvey Zingt! and celebrates Yiddish language, history and culture through song (‘zingt’ meaning ‘sing’). 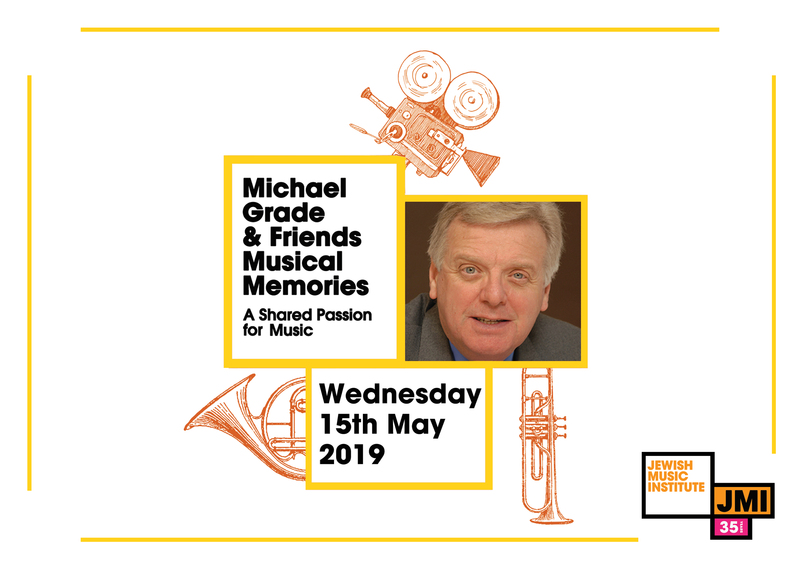 It gives school children the chance to experience Jewish music played by world-class professionals from London-based band Don Kipper, with workshops led by musician, writer and composer Joseph Finlay, who will be teaching the children arrangements of Yiddish songs. The project has been funded by Essex Cultural Diversity Project and Essex Music Education Hub (using funding from Arts Council England). It has been produced by Essex Music Education Hub and is being delivered by Jewish Music Institute. 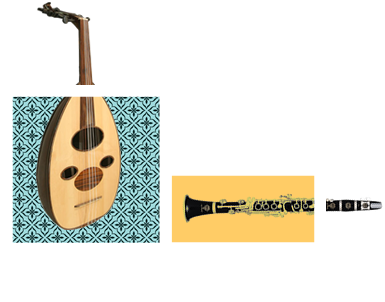 The Jewish Music Institute is an independent arts organisation based at SOAS, University of London. 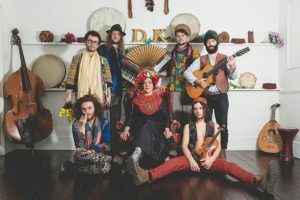 It spans the ancient and contemporary global musical culture of the Jews, and makes it relevant to today’s mainstream British cultural, academic and social life through a broad range of performances and educational programmes. If you join this list and consent to receiving email from us, we will contact you about once a month with our newsletter and offers. You can opt out at any time via the unsubscribe link provided in the footer of every email we send or by contacting us at jewishmusic@jewishmusic.org.uk. We will always treat your information with respect and will never sell on your data or send marketing messages on behalf of any other business.